Home » Posts Tagged "Masterson"
Just up this afternoon is a Senate Bill – SB 513 – “creating the student physical privacy act.” Word under the dome is that this bill comes from Senator Mary Pilcher-Cook (R-Shawnee). It would prohibit a student from using a restroom for a gender other than that identified at the student’s birth. Currently, policy decisions on the use of such facilities are left to the wisdom of locally elected school boards in consultation with teachers, counselors, administrators, and parents. The House Education Committee today held a hearing on SB 388, requiring the State Board of Regents to adopt a policy on awarding credit hours based on CLEP test results. The bill would standardize the granting of credit for performance on a CLEP examination such that the credits could easily transfer among Kansas higher education institutions. The bill was passed out of committee and now goes to the full House for consideration. The House Appropriations today worked HB 2731, the Ryckman bill dealing with school finance equity in response to the Supreme Court decision. It became clear very quickly that the bill did not have enough support in the Committee to move forward. Most of the negative comments were directed more to the Court than to the provisions of the bill itself. One legislator even asserted that the Court had no understanding of either school finance or equity. Reps. Jerry Henry (D-Cummings), Sidney Carlin (D-Manhattan), and Barbara Ballard (D-Lawrence) tried to impress upon their colleagues that the Court did not choose to weigh in, there was a lawsuit that they were required to hear, that the Court relied on a study commissioned, paid for, and adopted by the Legislature as the only evidence brought forth, and that the demands on schools have grown tremendously over the years and are more costly. In the end, Ryckman chose not to put the bill to a vote. In the Senate Ways and Means Committee, SB 512, the Masterson bill dealing with school finance equity was quickly passed out of committee and has been sent on to the full Senate for consideration. Both bills return to the previous equity formula (before block grants) and sweep the $17 million out of the extraordinary needs fund. The balance of the needed money is new spending in the Ryckman bill and is redistributed from school districts in the Masterson bill. House Bill 2700 was scheduled for debate on the House floor today but was pulled and returned to the Pensions committee. We suspect it will be placed in another bill and sent back for reconsideration. This is likely an effort to put the bill in a position that it can be quickly voted on by both chambers and sent to the Governor. No other bills we are tracking were on the floor for debate today. As we write this the Senate is still in deep debate on the second bill of nine on their debate calendar today. And the first bill was passed over after a long debate while they wait on another amendment to come forward. We are waiting for the debate on the fifth bill, HB 2567 which deals with tuition rates for military personnel. It is rumored that there will be an attempt to pass an amendment that would repeal in-state tuition to the children of undocumented workers. We will report on this tomorrow. How about a two-tiered class system for teachers? House Ed Committee says no thanks. Yesterday we reported to you that Rep. Ron Highland planned to hold a “hearing” on a bill (SB 136) solely with the intent of gutting it and inserting the contents of HB 2531 stripping community and technical college teachers of their right to due process. We got notice early this morning that the meeting was cancelled and, in a subsequent message, that the action would be moved to Monday’s committee meeting at 1:30. We have been told that Chairman Highland came down ill and so cancelled today’s meeting. This gives education advocates the opportunity to have a talk with their representatives while they are back home for the weekend. And please take the time to send your representative an email message using the link below. CLICK HERE to Keep the Pressure On! 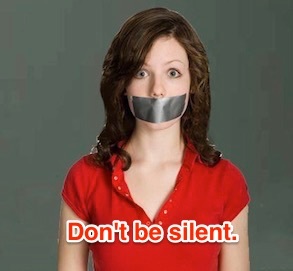 Don’t be silenced! A couple of years ago a Kansas legislator heard an anecdote about a high school student who couldn’t recite the preamble to the constitution or maybe he couldn’t identify the primary author of the Declaration Independence and so a bill was passed creating “Celebrate Freedom Week” under which every public school would drop everything for one week and focus exclusively on study of the founding documents of our great participatory democracy. Well, recently we have seen some interesting examples of legislators who apparently don’t fully understand how a participatory democracy works. Senator Masterson abruptly cancelled a hearing on a bill he introduced that would transfer education finance from the Department of Education under the State Board of Education to the Department of Administration under Governor Brownback. Citing the large number of emails he received from Kansans and referring to at least some of them as “vile,” he angrily pulled the bill out of discussion. Senator Julia Lynn announced that a bill would pass her committee before the hearing on the bill was over. She did not let even one opponent of the bill speak before declaring that it would pass. Why should people who have a viewpoint different from Lynn’s have the opportunity to be heard? Representative Highland mysteriously put a bill up for a hearing that had already been passed. Why have a hearing on a bill that is current law? Well, one reason is to catch the folks you don’t want to hear from off guard. Bring in the bill, carve out its contents and replace it with something you want but will generate strong opposition. It’s called a “gut and go” and it’s a shifty maneuver that has been frequently used. And it usually keeps the public away from the meeting in which it is done – no one there to witness the action, no one there to weigh in with the committee. So you see, some Kansas elected officials have a personal agenda and things like “constituents” just get in the way. They don’t want you to know what’s happening. In the Highland case mentioned above, it took heavy questioning from a member of the minority party to get Highland to admit his intentions in public. As Brownback and his ideological soulmates in the Kansas legislature have tightened their grip on government, the people have been getting less say in what happens. Dramatic policy changes are enacted via gut and go with no public notice. They are passed as floor amendments to other bills without ever getting a hearing. And there are controversial deals being made out of the public eye. Participatory democracy would just get in the way of ideology. Next week is a critical week in the 2016 legislative session. Things are wrapping up and the ideologues are teeing up their anti-education, anti-union, and anti-government bills for quick action. This would be a great time to host a “Celebrate Freedom Week” for the Kansas Legislature! Most school districts are on spring break next week. Why not help celebrate freedom by coming to the Statehouse in Topeka and giving the Senate and House a lesson in participatory democracy? If you’re a teacher or parent of a student, wear your school colors! Bring your children – what a great lesson it would be in civics and democracy! On Monday, parents from all across Kansas will converge on the capitol in support of efforts by Game On for Kansas Schools to raise awareness of the crisis in our public schools and to demand that legislators step up and support public education. They’ll be joined by members of Kansas NEA, the Kansas PTA, Kansas Families for Education, and others to make their voices heard. Won’t you join them? KNEA President Mark Farr will be in the capitol every morning at 10:00 am just inside the security entrance on 8th Street to greet you and welcome you to Topeka. Other KNEA activists will be with him. So let’s stand up for Kansas next week. Let’s stand up in support of Kansas schools and children. Stand in support of safe roads and highways. Stand in support of our seniors and those with disabilities. Stand in support public safety. Stand in support of our communities and our shared Kansas values. Be a participant in our democracy. House Ed Returns to Their Extremist Agenda Tomorrow; Plans Include Stripping Due Process Rights from Higher Ed Instructors! House Education Committee Chairman Ron Highland (R-Wamego) announced publicly today that he will bring SB 136 back into committee for a hearing tomorrow. This made many of us curious given that SB 136 contains only current law on collective bargaining – it is the bill that contained the education community’s PNA proposal that passed in another bill. Now why would a committee have a hearing on a bill that already passed, albeit under a different number? The only reason is that one intends a “gut and go.” Highland, under questioning from Rep. Valdenia Winn (D-Kansas City), admitted that he intended to gut SB 136 and insert the contents of HB 2531, the anti-due process bill. So this bill will be coming out of the House Education Committee yet again tomorrow. But in addition, we’ve just learned that he will also bring back HB 2292, the bill repealing Kansas learning standards! Look for amendments to this bill and then sending it back to the floor. Waging her war on Kansas teachers, Senator Julia Lynn (R-Olathe) railroaded Senator Jeff Melcher’s (R-Leawood) anti-teacher bill designed to stop collective bargaining for teachers in Kansas out of committee this morning. She had to cut off a Democratic senator from trying to make an amendment; she had to cut off KNEA General Counsel David Schauner’s response to a committee member’s question, but she got her way. Senate Bill 469 would require the recertification of all teacher representative organizations every three years. This would be done via elections run by the Kansas Department of Labor. The Department of Labor would be required to conduct nearly 300 representation elections. If the department were unable to conduct all of these elections due to manpower constraints, those districts in which elections were not held would automatically be decertified. Teachers would be statutorily denied a representative for at least 12 months and lose their contract protections. SB 469 mandates elections through the Department of Labor but requires the teachers to pay the Department for those elections – a classic “unfunded mandate.” Even if there was no challenge in the election, teachers would be billed by the Department of Labor for an unnecessary election. Under this bill, representation would be denied unless one organization received more than 50% of the votes of all eligible voters. If people chose not to vote, it would essentially be counted as a vote for no representation. If the Senators on the Commerce Committee were held to the same super majority standard in their elections, not one would be serving in the Senate today – even the two who were unopposed in their last election! Those Senate seats would remain vacant until the next election, denying representation to all the voters in those districts. Make no mistake about this bill. Its sole purpose is to deny teachers representation and ensure that collective bargaining cannot take place. The only proponents for the bill (other than Lynn, Melcher, and other anti-union, anti-teacher legislators) were the Kansas Policy Institute’s Dave Trabert, the Koch-founded Americans for Prosperity, and the Association of American Educators, an alleged teacher organization funded primarily by right wing foundations for the purpose of ending collective bargaining. 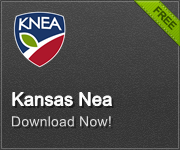 The Kansas AAE has successfully de-certified a few KNEA locals using the process currently in law and then left those teachers to fend for themselves at the bargaining table. Passage of SB 469 would assist KPI, AFP, and AAE in eliminating collective bargaining for nearly all teachers without having to do any work whatsoever. Opposition to the bill came from all Kansas education organizations (KASB, KNEA, USA, KSSA), a number of private citizens, and other labor organizations. The bill will now go to the full Senate for consideration sometime next week. Citing public outcry and bad press, Senator Ty Masterson (R-Andover) abruptly cancelled the hearing on SB 311 which would transfer education funding from the Department of Education to the Department of Administration. Masterson said it was impossible to have a rational discussion of the issue given the level of negative press. The hearing drew a large number of opponents ready to testify. There is enormous suspicion about the motives behind a bill that would take school funding out of the department controlled by the State Board of Education and shifting it to a department controlled by the Governor. This should not be surprising given the number of attacks launched on schools, school administrators and board members, and teachers by this legislature. This year we’ve seen serious consideration of HB 2457 transferring millions of dollars into unaccredited private schools via tax credits, SB 469 intended to destroy teacher organizations, HB 2292 eliminating Kansas education standards, and HB 2531 denying due process to community and technical college instructors.